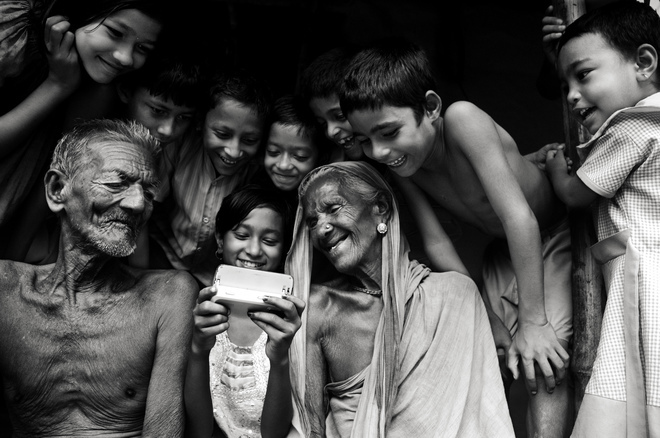 Whilst rummaging through the TPA archive looking for inspirational images to get your creative ideas flowing for our current competition 'As Time Goes By', I stumbled across this stunning image by Sudipto Das. It is amazing how much eye contact can really impact an image. Rather than depicting his subjects looking directly down the lens, Das has created a second point of focus and has introduced a narrative and relationship between the subjects by having them looking within the frame.